We are a renowned name for a wide gamut of Mining Spares that are extensively used in mining and earthmoving applications. With modern designs, perfect precision, rugged built, these offer superior performance and longer service lives. We are a renowned name for a wide gamut of Mining Spares that are extensively used in mining and earth moving applications. With modern designs, perfect precision, rugged built, these offer superior performance and longer service lives. Offered at highly competitive prices, these are the default choices of our clients from mining and earth moving industries. 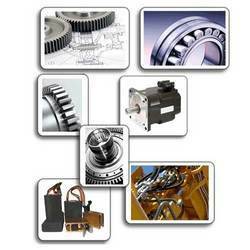 Looking for Mining Spares ?